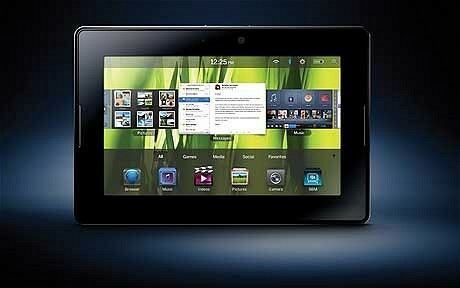 The BlackBerry Playbook will be released in Britain on June 16 and pre-orders have begun. The PlayBook, the first tablet computer from BlackBerry manufacturers RIM, will go on sale at Â£399 for the 16GB version, Â£479 for the 32GB model and Â£559 for the 64GB. The tablet will be available from retailers including Best Buy, Dixons, Currys, Carphone Warehouse and Phones4u. The PlayBook, which was released in the US last month, has a seven-inch screen, compared to the iPadâ€™s 9.7-inch screen. However, despite its smaller size the PlayBook matches the iPadâ€™s processor and screen resolution and has more memory. The PlayBook also has dual cameras that can record full HD footage at 1080p. The device runs a dedicated Tablet operating system and as well as being able to run bespoke apps, the PlayBook will also run Android apps and existing BlackBerry Java apps. Reviews in the US have been mixed, with many reviewers critical of the fact that the PlayBookâ€™s native email and calendar apps will not work unless the device is paired with a BlackBerry smartphone.